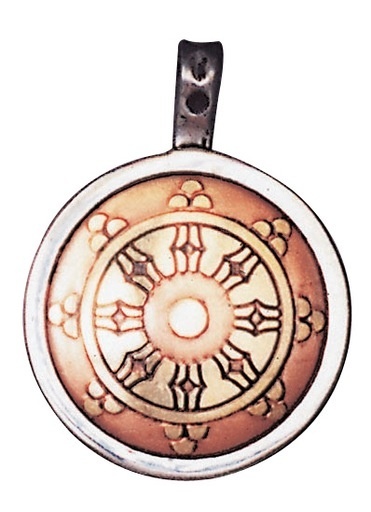 This pendant is approximately 1” in diameter, ⅛” thick. 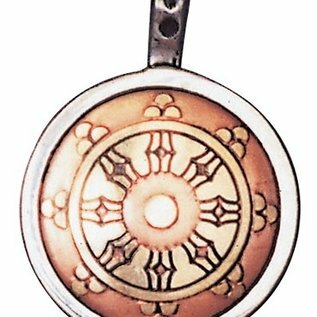 Produced in antique brass and copper, encased in pewter. These Talismans feel substantial and come with a matching 20” chain and bespoke hallmarked jewelry box.